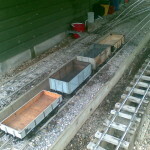 Over the coming weeks and months, we plan to feature different model railway clubs on this website, especially those which focus mainly on outdoor modelling. Make sure you include your email address in the correct box so we can contact you for some more information, photos etc. Email addresses are not viewable by the general public. 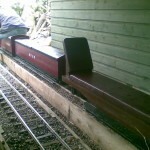 The Alhampton Miniature Railway is a private garden railway in the village of Alhampton in Somerset. 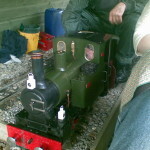 Every year, for the Alhampton Village Fete, the railway is opened up to the public. 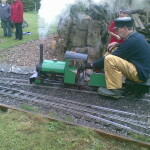 Power on the railway comes from steam, and there is a wide range of locomotives and rolling stock for visitors to experience. Tickets are £1.50 for one round trip on the railway.